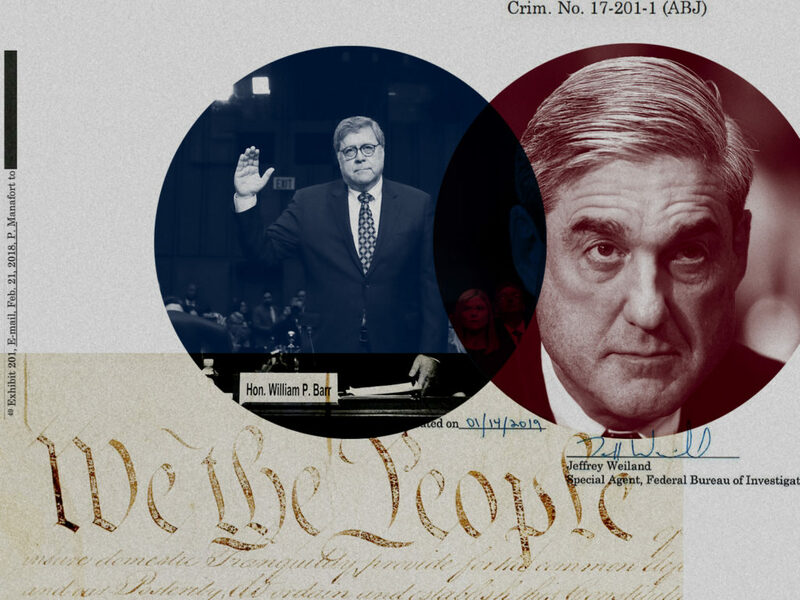 Robert Mueller’s report is finally here and without having read it I can make you a promise: It isn’t going to settle anything. Two weeks after the public finally sees it, most of the people who dislike Trump will be arguing that the report is terrible for Trump. And most of the people who like Trump will be arguing that the report vindicates Trump. Fights like this never end conclusively. The subject is too big and complicated to give a single, clean inarguable answer. And people’s partisanship is too strong to override a consensus consideration of the merits at scale. Put it this way: There is literally nothing that Robert Mueller could present that would cause most Republicans to turn on Trump or most Democrats to decide that he’s innocent. So what are you supposed to do if you’re in the camp that’s persuadable and wants to take the Mueller report seriously? There are three things: read the report; grapple with the facts; and try to come to reasonable conclusions—accepting right out of the gate that all stories this big will be messy and incomplete. (1) It’s fruit of the poisonous tree. One of the complaints Trump supporters have been making is that the origins of the investigation were improper so any results stemming from them must be disregarded. That might—emphasis on might—be true in a court of law. But the Mueller report is not a legal document. It is an investigative document with some legal, and some political, ramifications. (2) None of this is about Russian collusion. President Trump’s defenders have been saying for months that whatever else might be in Mueller’s report, there won’t be evidence of Donald Trump’s personal collusion with the Russian government to influence the 2016 election. That may be true. I hope it is! But if there is evidence of wrongdoing that does not relate to collusion between Trump and Russia, the public is not required to dismiss it. You may remember the impeachment of Bill Clinton. Bill Clinton lied under oath in the case of Clinton v. Jones. This perjury was noted by Ken Starr. Clinton was impeached because of this perjury and later was disbarred. Ken Starr had been investigating Clinton because of a complex series of real estate investments made by Bill and Hillary Clinton in the 1980s. Starr’s initial investigation had nothing to do with perjury. Or the Clinton v. Jones case. In fact, Clinton’s perjury occurred after Starr had already begun the Whitewater investigation. Wrong is wrong. The outcome of the investigation need not be tied in any way to the inception of the investigation. (3) It’s not an impeachable offense. There is no such thing as an “impeachable offense.” Impeachment is as impeachment does. It is a political process that can be undertaken for good reasons or bad reasons. You could, today, make the argument that Congress had no choice but to impeach Bill Clinton because to not do so would have established a precedent that encouraged presidents to break the law. Similarly, you could argue that even though Bill Clinton perjured himself, prudence should have led Congress not to seek his impeachment because this action contributed to a cycle of political destabilization that weakened important institutions. What you cannot argue is that perjury (or obstruction or collusion or whatever) “is not an impeachable offense.” Because there’s no such thing. Impeachment is a political and prudential argument, not a black-and-white definition. (4) There’s no smoking gun. Understand this: There’s never a smoking gun. No matter what evidence you have, there’s always some further piece of evidence that a committed partisan can demand in order to create some mythical sense of total, metaphysical certainty. You have bank records showing a mob boss paying a hitman. Well, how do you know he was paying him for a hit job? You have audio recordings of the mobster saying, “I want you to take care of Joey.” Well, that could be anyone’s voice. Where’s the videotape? You have video of their conversation. Okay. But haven’t you heard of deepfakes and where’s the smoking gun on tax evasion charges? The entire idea of the “smoking gun” is really about establishing, and then moving, goalposts. In any investigation there will be multiple points where proof of something is established. For instance, throughout the 2016 campaign, Donald Trump insisted—over and over—that he had no business interests in Russia. We now know that this was a lie. You might say, in fact, that we have a “smoking gun” on this question. Any investigative report will contain many, many issues of fact. Some of them will be established beyond a reasonable doubt via direct evidence. Some of them will be established to a lesser degree of certainty via circumstantial evidence. When people try to dismiss the Mueller report because it doesn’t contain a smoking gun—and I promise you, this is a thing that will happen—what they’re really trying to do is play a game where they ignore some findings of fact in an effort to claim that any place without a solid finding of fact invalidates the whole. It’s an attempt to avoid grappling with what’s actually there. The best way to approach the Mueller report is to engage with what’s on the page while keeping your epistemic status open. And to tune out the bad actors who are trying to sell you something because they have vested interests one way or the other.